Have you ever walked into a grove of aspen trees during the peak of autumn and just rested in quiet solitude?. 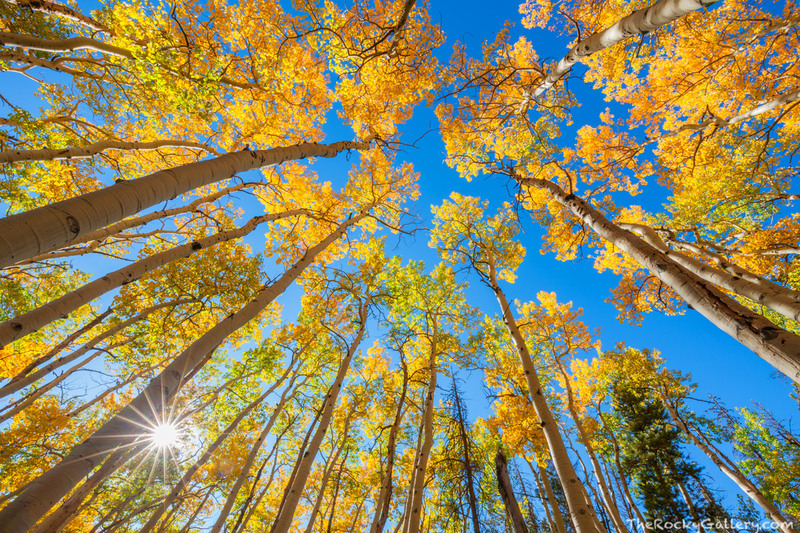 Sitting or better yet laying down on the forest floor during the fall and staring up at the canopy on a warm, sunny bluebird day in Rocky Mountain National Park is an amazing experience. The sounds of the breeze rustling through the trees, the smell of autumn leaves composting while a few golden leaves slowly fall and meander down to the forest floor. If you have not been able to spend time in the aspen forests during fall and just sit back and relax and take it all in, I highly recommend that you do so. Photo © copyright by Thomas Mangan.